The fluffed Wii U launch continues to cause embarrassment for Nintendo, with the gaming giant now advising people to update the software before giving the console as a gift. Nintendo of America took to its Twitter account on Friday to advise generous buyers to perform the necessary software bump, to enable excited gamers can get started on Christmas morning. 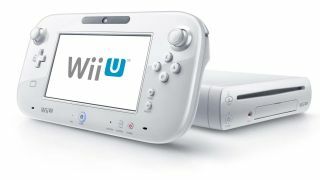 The tweet read: "Giving #WiiU as a gift? Pro-tip: Perform system updates before wrapping so it's good to go as soon as it's opened!" Bizarrely, the console cannot be used unless the update, which brings access to the eShop, Miiverse and Nintendo Chat, is performed. The update has been criticised for the amount of time it takes to install, so Nintendo's advice is, at least, practical. The downside, of course, is having to open the packaging and plug in the console to perform the update, thus compromising the brand newness of the gift. Updaters must be careful, as turning the console off during the process is known to brick the console, making it completely unusable. It's fair to say that Nintendo hasn't handled this one greatly.